Having already adopted the language of the anti-abortion movement and received the endorsements of its leaders such as Operation Rescue’s Troy Newman, Priests for Life’s National Director Frank Pavone, and Susan B. Anthony List president Marjorie Dannenfelser, along with culture warriors such as Phyllis Schlafly, Donald Trump will now do what Donald Trump does best: get paid. 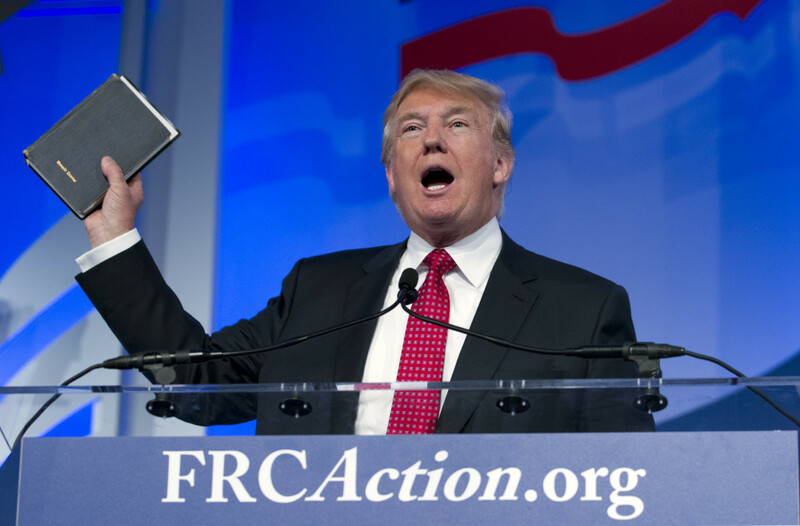 Bloomberg News reports that Trump has set a goal of soliciting 200,000 contributions from the evangelical community. The article goes on to describe some odd contortions that some of Trump’s conservative Christian supporters are going through to justify their endorsements of the thrice-married New York businessman. 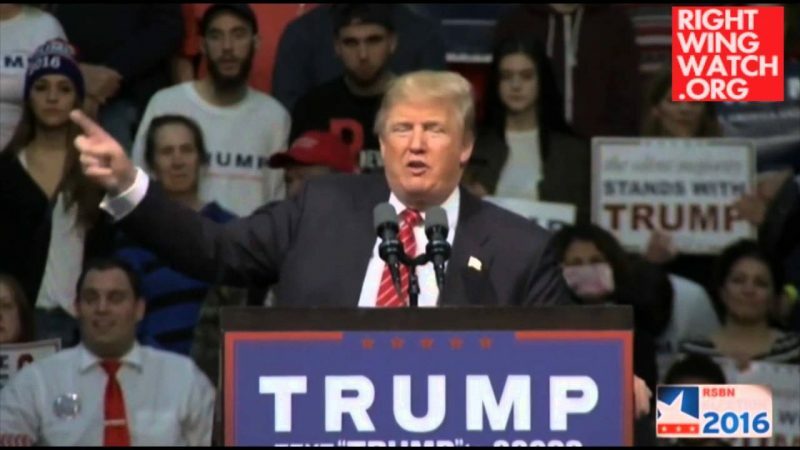 At one recent meeting with Trump, evangelical leaders noted how he often flashes a signature hand gesture, with a thumb out and a finger point to the sky, as he enters and exits rallies. The truth is these justifications should be unnecessary. Politically, Trump has bent over backwards to please the Christian Right, which initially had been quite skeptical of his candidacy. 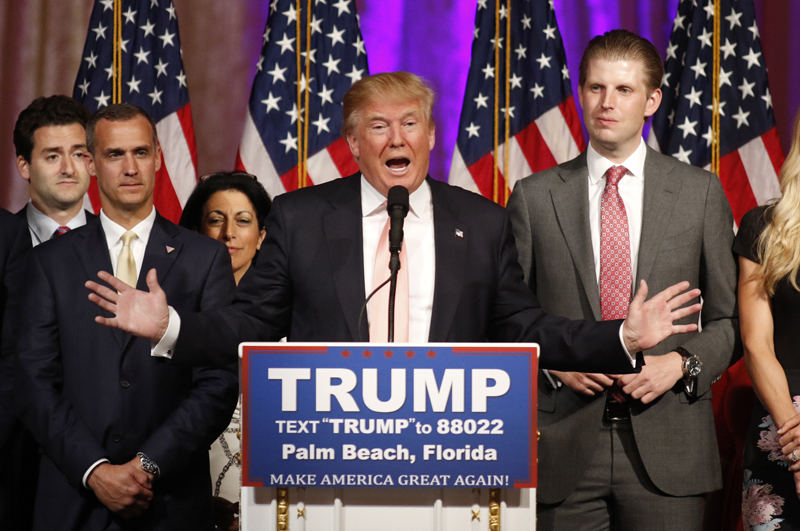 Since becoming the Republican nominee Trump has adopted the language and policies of the antiabortion movement. He also hired former hill staffer John Mashburn as his policy director, to the rave reviews of anti-abortion leaders, and he recently released a slate of Supreme Court picks, any one of whom would shift the court far to the Right and all of whom anti-choice activists seem to be confident would help them to roll back reproductive rights. Furthermore, Trump’s declaration that “we are going to staring saying Merry Christmas again” is drawn directly from the rhetoric of the Christian conservative movement, which has taken to claiming that sales clerks wishing their customers “happy holidays” amounts to a “war on Christmas.” He also promised to create a Christian “lobby” by removing IRS regulations that prevent churches from engaging in partisan politics. This all makes sense in the context of Donald Trump. If he is going to have to cite “two Corinthians” in a speech, he might as well profit from it.